Every reader of this GoFundMe campaign needs to know the compelling reasons and extreme importance why we are producing this film; when it comes to the outright destruction of the human habitat, Geoengineering reigns supreme in its potential to render the planet unfit for all life. We are living underneath a toxic sky, continuously sprayed with lethal combinations of aerosols that we are breathing in every day. Geo-engineering has so many different facets to it and many are unknown to the public. Even though all of them have one thing in common; they are extraordinarily harmful to all levels of the Earth’s atmosphere and to all life on earth. Over 200 species being extinct every day. The species extinction rate happens 1,000 times faster because of humans. One major factor for this mass die-off is Geoengineering. We are not heading toward the sixth mass extinction event, we are neck deep in it! The far-reaching consequences of geo-engineering are so dangerous yet so little understood. Those who are being initiated to the geo-engineering assault will have difficulties to accept the acute danger we are in. Our goal is to assist people in better understanding Geoengineering and bring people together to get involved before it is too late for us and future generations. If we don’t act now, no one gets out alive. My name is Walter Schmidt. I am an avid Photographer and Filmmaker. 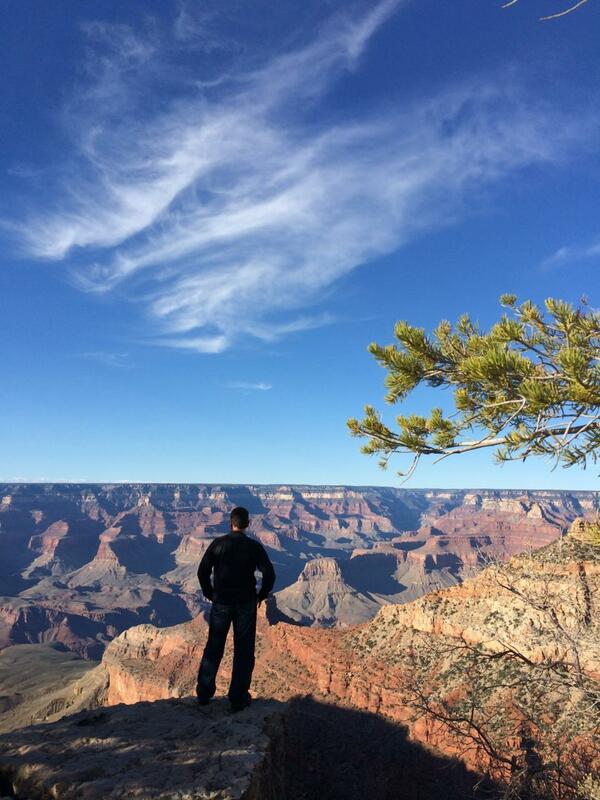 One of the places I choose to relax is the beautiful Grand Canyon in Arizona. As of this writing in March 2016, I have visited the Grand Canyon twenty-four times since 1996. I have made many pictures on each of my visits and have accumulated a vast library of photographs, spanning over 20 years. One of my most favorite color schemes to photograph at the Grand Canyon include pine trees and a deep blue sky as backdrop. That all changed early 2015. Since, on each of my visits, the sky started in the early morning hours to form high cirrus clouds from the west. Evidently, I had observed that this cloud coverage was formed by the residue of Jet Aircraft Aerosols. 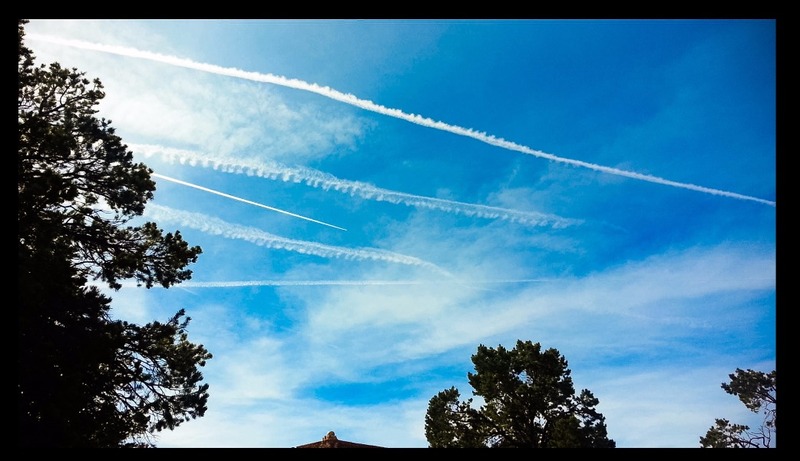 While I've noticed aerosol spraying before over the Canyon, the Jet Aircraft began to appear “en masse” with enormously increased flight patterns since 2015 over the Grand Canyon. One can observe the forming of clouds out of the Aerosols as these lingered in the sky and expanded, as the aircraft spraying patterns moved eastbound. While the Cirrus cloud coverage is a high cloud coverage from above 18,000 feet, the hazy cloud formations seemed to descend toward the ground over time and changing the environment into a milky-grey atmosphere. 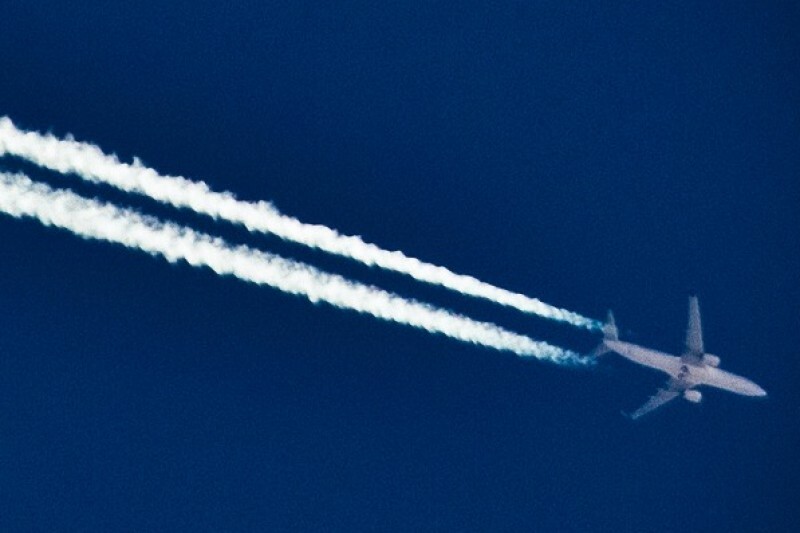 Contrails by definition are forming Ice Crystals behind the Aircraft Jet Engines. Yet the warm temperatures as well as altitude in which they were formed defy physics and natural laws. 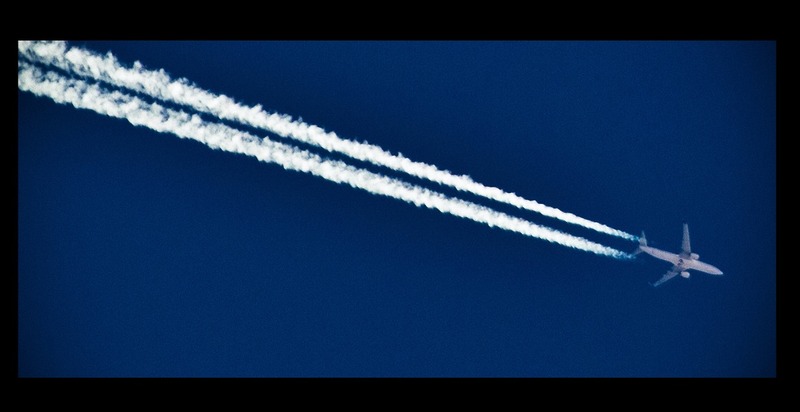 The short film will shed light on how “Contrails” are formed and examine the difference between chemical Aerosols. It will include interviews with experts as well as with the general public. We will present factual research data of the impact that Geoengineering has on the environment and that it does exist. We will elaborate on the purpose of various Geoengineering programs. The incredible video footage shot from the Aircraft used for Geoengineering combined with actual flight data and stunning video footage of the Grand Canyon, including time laps and frame grabs, will make this short film truly an eye-opener and amazing to watch. Our main goal is not to seek financial rewards, but to help raise awareness about ongoing Geoengineering programs and its dire consequences for all of us. Our goal is to participate in various film festivals to further the popularity of the film. Being well equipped and my vast experience in production and postproduction enables us to complete the entire movie in-house. Karen Gallagher, who joined me on many trips to the Grand Canyon and I will take on the production of this short film. As Production Leader Karen was directly supporting me on another movie I’ve produced, which was partially shot at the Grand Canyon, in between 2008 and 2010. After the film is released by selected Film Festivals in 2017, we will fulfill the Donations. Just a reminder, in case you haven't done so already. Check out our new store and shop with the good guys. We have an ever expanding line of items and designs. Here's a fresh one. 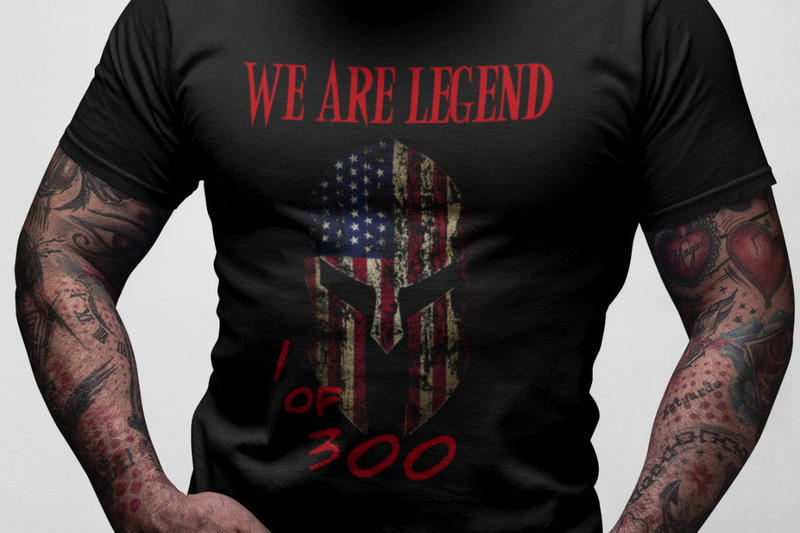 Are you 1 of 300? Once in a while, we need to balance things out. In between all the serious news, we are excited to announce something positive; WE’VE STARTED AN ONLINE STORE! INTRODUCING - OUR NEW LINE OF APPAREL AND ACCESSORIES FOR ALL YOU “RED PILLED” AND PATRIOTS OUT THERE! ALL APPAREL AND ACCESSORIES ARE CUSTOM DESIGNED FOR YOU! But in case you want to add something “personal,” you even have the ability to further customize the items! How about that? 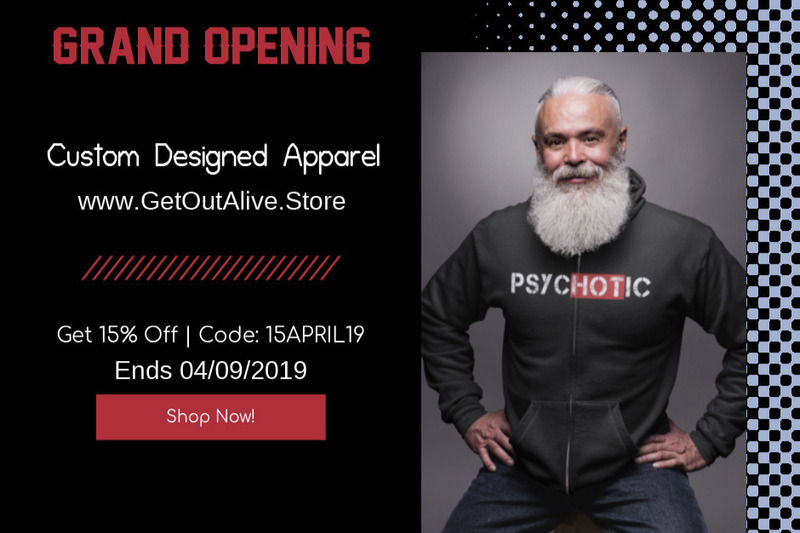 But hurry, because the GRAND OPENING SALE ends 04/09/2019. The documentary “Vantage Point” is filmed in 7 Chapters. Chapter One: The NEW WORLD ORDER - The viewer is introduced to the history of the real power structure, with their plans to create a New World Order; a One World Government. This chapter explains to the audience the reasons for the existence and collaboration of the Council on Foreign Relations, the Trilateral Commission, the Federal Reserve, the Illuminati, the Bilderberg Group and others. Chapter Two: Introducing AGENDA 21 | 2030 - This chapter depicts the Agenda 21 and the subsequent Agenda 2030 “Sustainable Development Goals.” Agenda 21 is not an environmental movement, it is a political movement which seeks to control the world’s economy. It pursues to dictate its development, captures and redistributes the world’s wealth. 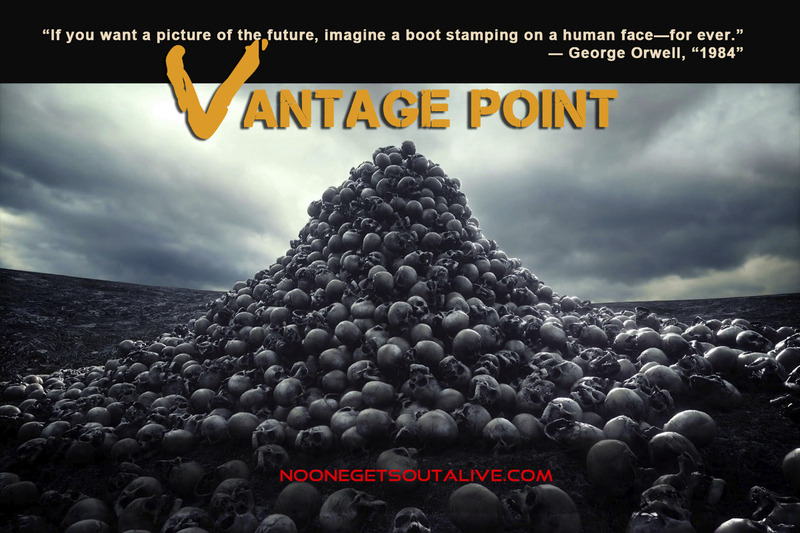 “Vantage Point” highlights the true Agenda of Globalism and a One World Government, as it is going to be forced upon all the citizens of the world through coercion and the Agenda 21 | 2030. The process locks away land and resources, and plans a central economy, while controlling industry, transportation, food production, water, and the growth, size, and location of the population. Chapter Three: SOFT-KILL PROGRAMS - Established mass Depopulation soft-kill programs are already well underway. This chapter explores the deadly effects of Geoengineering the atmosphere as well as GMO’s, Endocrine Disruptors and Glyphosate in the food supply and Fluoride in the water. The film sheds light on deadly vaccines and the development of exotic viruses, in addition to the dangers of microwave exposure through the latest G5 technology. The film reveals today’s social engineering, mass delusions, learned helplessness, cultural invasion and mind control programs. In short this chapter elaborates in great detail how the globalists are preparing the planet for a post-human era. Chapter Four: MACHIAVELLIANISM – Create a problem | Shift the blame to the victims | Offer a solution. Example 1 | Climate Change: This chapter provides a thorough analysis of the engineered climate change agenda. As revealed in “No One Gets Out Alive!” the prequel documentary film, “climate change” is caused by Geoengineering and actually a false flag operation designed to convince people to support their own extermination, while Geoengineering will be rolled out as the attempt to save the planet. In reality, Geoengineering is a multifaceted weapon system being deployed to ultimately eliminate human life on Earth while terraforming the planet for other agendas. Example 2 | Mass Migration: The mass migration plan has been in progress for some time, but it has been accelerated in recent years. Masses of people are flooding the US borders as well as continuing to swarm European countries. The film highlights the consequences for the citizens, as the crime rate grows exponentially. “Vantage Point” expands on the open border policies and who is behind it. Clearly it is a staged Agenda, with sponsored terrorism and genocide at work in the Middle East. The Globalist Forces driving desperate people to seek asylum elsewhere, as the US and European mandates inviting in as many as possible over its open border policies. And all in concert, as the UN is using migration to undermine European national homogeneity. The clear goal of Globalism is to dissolve borders, destroy nation states and deindustrialize the developed countries. Chapter Five: AN ORWELLIAN DYSTOPIA – George Orwell wrote the Novel “1984” in 1948. In this political fiction novel, in which practically every public and private place in the world is under surveillance through “telescreens,” that also broadcast announcements, news, and propaganda. They are the sleepless eyes monitoring every move, every word, every facial expression, and every involuntary reaction of every person in the effort to detect thought crime. This sounds all too familiar to “awakened people” in 2019, as the political Agenda is shifting toward this dystopian world view. In this chapter the film takes a closer look into “smart devices" spying on their owners and social media surveillance. The documentary sheds light on social engineering programs and the gradual dumbing down of people. The film revisits 9/11 and the ensuing Patriot Act, and its subsequent mass surveillance programs, i.e. PRISM, Utah Data Center. It also has a close look into the rollout of “RFID chipping” and other spy technologies, including G5 wireless technology. Chapter Six: POLITICAL HENCHMEN | CORRUPTION AND POLICIES – “Vantage Point” also sheds light onto the corruption on both sides of the political spectrum. The film highlights the resurgence of Fascism in developed Western Countries, reaching from the United States to Germany. Today we experience a massive polarization between Globalism, supported by a socialist structure and Nationalism, supporting Free Market Ideas. This chapter focuses on the pros and cons of both political ideologies, yet also depicts the clear relationship of the UN Agenda 21 and the leftist-socialist / globalist doctrines. Chapter Seven: THE ENDGAME | MASS GENOCIDE – For the New World Order, a one world government is just the beginning. Once in place they will engage in their plans to exterminate 90% of the world's population, while the "elites" plan to live forever by merging with machines. Futurist Ray Kurzweil: “We’re going to become increasingly non-biological to the point where the non-biological part dominates and the biological part is not important anymore.” The film emphasizes that Kurzweil’s transhumanist utopia will not be available to most of humanity but instead will be the domain of a wealthy aristocracy. The ruthless elite will simply exterminate the mass of humanity, leaving the world to the elite. The film is cross cutting between two stories. While one story depicts the geopolitical developments of the Agenda 2030, leading eventually toward an engineered societal collapse, the other story shows the protagonists preparing for these emergencies. The leading role is depicted by the Director Walter Schmidt himself, who has extensive experience in emergency preparations and self-defense training. Walter taught for over 3 decades “Preparation and Protection Programs” on three continents. His students range from civilians to US Special Forces. The film is cross cutting between two stories. 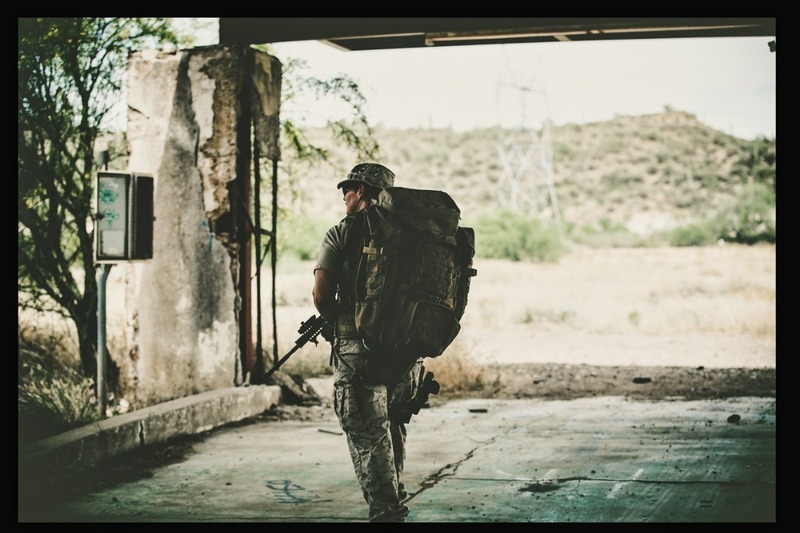 While one story depicts the geopolitical developments, leading eventually toward an engineered societal collapse, the other story shows the protagonists preparing for these emergencies. The leading role is depicted by the Director Walter Schmidt himself, who has extensive experience in emergency preparations and self-defense training. He taught for over 3 decades preparation and protection programs on three continents. His students range from civilians to US Special Forces. Walter, thank you for your efforts. Resources are needed to help awaken the public to this dire threat. Aluminum is one of the main metals released into the air as part of these geoengineering programs. Here is some freely available information with that can be found on the internet (all can be searched by using Google): Geoengineering Whistleblower Kristen Meghan Ex Military Publication called “Weather as a Force Multiplier: Owning the Weather in 2025” presented to the Air Force Patent US5003186 – Stratospheric Welsbach seeding for Reduction of Global Warming [This patent specifically mentions aluminum oxides as a reflective material] Publication by the Air Force Research Laboratory called, “In Vitro Toxicity of Aluminum Nanoparticles in Rat Alveolar Macrophages.” [Rats cells were given aluminum and aluminum oxides to research their toxicity.] Anti-Geoengineering Legal Alliance Files US 60 Day Notice Of Legal Action California Board Votes to Investigate Covert Climate Engineering. [This took place in Shasta County.] Patent US2550324 – Process for Controlling the Weather US4347284 – White Cover sheet material capable of reflecting ultraviolet rays Extensive List of Patents – GeoengineeringWatch.org [Over 150 patents on weather modification and geoengineering can be found at GeoengineeringWatch.org] 168 Patents Relating to Climate Engineering [as readily listed on look-up.org.uk] There is so much more that you can find on the topic. We should not be inhaling aluminum and the environment should be protected from toxic chemicals that effect our air, water, and soil. Let others know about the topic of geoengineering. Maurice: There's a whole cocktail of metals with Aluminum, Barium, and Strontium being the main three. I have noted these in the rain water sample tests that I have taken. Out of the three, Aluminum had the highest amount of contamination. There are other metals like Copper and Manganese. There is also a formulation for turning rainstorms into snow/ice storms through a process called nucleation. I haven't researched which chemicals are involved, but there is supposed to be a geoengineering patent on nucleation. For more info go to GeoengineeringWatch dot org and type in "patents" into the search bar. This project sounds great and if you need any of my anti geoengineering music for the sound track let me know. https://www.youtube.com/channel/UCcbO-4ARYflevyGP7gmrzDA Thank you. Do you know what chemicals are being used ? As I have read & watched a few articles on this spraying, as yet no one has said what is being sprayed . If you or anyone else has said what toxins are being used could you show me ? Or reprint the toxin details please . Donate this amount and receive: - All from “The Film Fest Winner” PLUS - A Digital Download of the completed Documentary in Standard Definition. Once again, Walter, thank you for this invaluable eye opening film. It is too bad that so many turn two blind eyes to this issue. Thank you for such great information and awareness opportunity! Thanks for your efforts on this urgent issue.